Camping is an enjoyable activity in itself. It gives us the chance to spend more quality time with our loved ones and to be in the outdoors where we can get close to nature and have fun. But to make this activity even more worthwhile, we need the best TV antenna for RV if we have an RV TV onboard. Having it, we can be certain that we get a clear reception for our favorite local TV shows and programs, including live sports, news updates, weather reports, drama series and more. However, we recognize that it is not easy to find the right antenna to suit our needs. That is why we have put up this guide on how to choose one based on important factors. We have also reviewed the top pick products that we’ve compared and reviewed to help you select one later. Winegard is one of the most known brands for recreational vehicle antennas because it is consistent in supplying the world’s best RV antennas that deliver! The Winegard RVW-395 is one of its latest offerings to the caravanning and RV camping community. I love this best indoor TV antenna for RV for its multiple functions as an HD TV and DTV antenna. Winegard takes it Sensar III to a new level with the Sensar IV that performs even better. This model is combined with an improved antenna that can provide us with that over-the-air TV viewing experience. Another thing I like about it is that it can receive the UHF and VHF channels for its long range reaching up to 55 miles. It is a great feature that can let you watch your favorite channels without any hassles. This antenna can provide us with that clear and crisp HD of the local programs you love. I also recommend it because it is easy to use. All you have to do is to raise, lower and then rotate it with the hand crank from the inside of your recreational vehicle. It is also easy and quick to install within only a few minutes without any special tools required. I also appreciate that it can offer many more channels. The Winegard RVW-395 gives us the chance to watch different programs aboard our RV. I also love that it is lightweight and sleek, adding to the ease of installation. This product is also powder coated for a long lasting and durable finish. 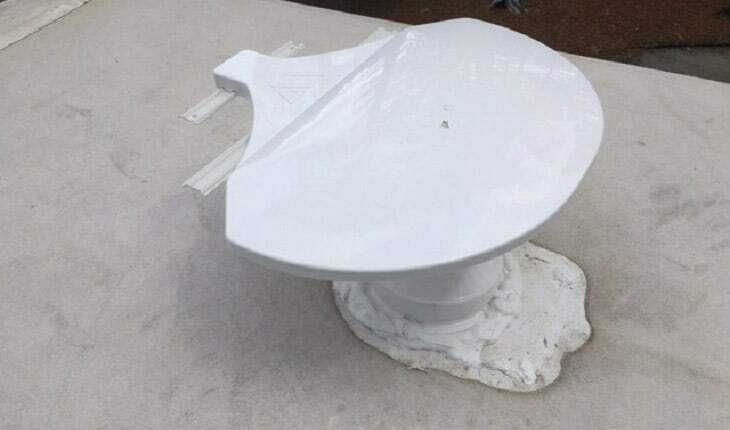 Such a feature can protect the antenna from deterioration due to harsh weather elements and conditions. On a negative note, it is a bit pricey, though. 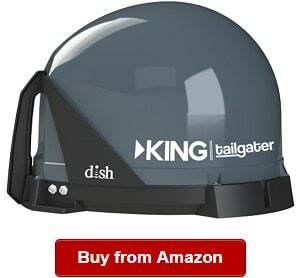 You don’t have to worry about any RV antenna booster problems when you have this King antenna. The King Jack OA8300 is one of the most recommended antennas for recreational vehicles also because of its universal mounting brackets, which can be used for homes, too. 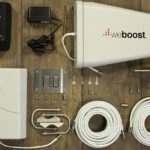 This product also comes with an AC and DC power supply that can let you install and use it for your home. I recommend this as one of the best directional over-the-air antennas on the market now for its great ability of maximizing reception and locating more channel and signals. One thing I would also like to note is its updated and sleek design that suits most RV designs and decorations. You can have peace of mind that you can get greater performance from this solid and high tech over-the-air TV antenna. Another thing I like about this King Jack to note in this King Jack antenna review is its versatility to work for either the outdoor or indoor. It also offers that long-range signal acquisition that makes it one of the most powerful TV antennas around. I also like that it is less directional compared to traditional models, so it can provide us with more free channels without having to rotate it very often. Nevertheless, the KING OA8300 can deliver us with that superb performance for all the UHF signals where the majority of the DTV channels are being broadcast while also provide us with better reception for all VHF channels. So wherever you go, you can take your favorite TV channels with you. On a negative note, this product is a bit complicated to set up. 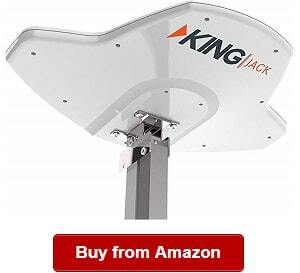 The King Jack OA8500 is another directional antenna that I love in the category. I would like to note that it is highly innovative when compared with other over-the-air antennas on the market. It already comes with a mount and signal finder versus other products in the same category. The King OA8500 is great to setup in the camper, mobile home, trailer and recreational vehicle. I think it is one of the most powerful around for its long-range signal acquisition, making it best when it comes to finding and locking on many channels. I think that its white color is another superb feature because it works well on any decoration. It looks sleek and clean, making it an elegant choice for your RV. The King antenna also operates effectively when it comes to finding more signals because of its SureLock technology included. Another thing I appreciate about the OA8500 is its upgraded technology, which promotes and enhances UHF reception. In addition, this unit can also receive many VHF channels that make it indeed a good choice. More so, this directional antenna also has that long and broad reception coverage, allowing it to find the strongest signals. With it, you’re guaranteed to receive max signal reception. Another thing I appreciate in the antenna is its compact and aerodynamic design, which makes it look sleek and compact. It can resist wind, and it is one big advantage that you cannot find from other models on the market. This antenna is also smaller and more compact versus other models are, so it is easier to install. The King antenna model is also chosen because of its amplified antenna, which offers ultra high gain. 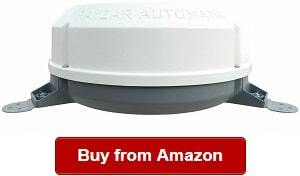 You can also easily install it no matter your roof’s thickness. On a not so good note, this product is a bit pricier than other directional RV antennas available. The Winegard RZ-6000 is one of the highest rated RV TV antennas on the market and for reasons. It is highly innovative for it is HD, 4K ready, digital, ATSC 3.0 ready and can deliver excellent reception. When camping and you want to stay connected to the world, you can rely on the Winegard antenna because it is an amplified model, which is considered the next generation when it comes to HD and digital TV broadcasts. I like that this antenna is able to deliver clear and quality HD programming. And in places where 4K UHD is available, it can also do the job well. I also love that it can deliver many VHF and UHF signals that can let the whole family watch their favorite TV shows wherever they are. Another reason to buy this Winegard RV TV antenna is that it lets users save money for not having to pay monthly fees for their favorite TV shows everywhere they go. I also like that it has excellent signal acquisition ability, finding the best reception. So once you run a channel scan, this antenna can perform the signal finding easily and quickly. This time around, you don’t have to miss the weather and news updates, which are essential when on the go. I also like that you don’t have to crank but perform an easy rotation of the antenna to find signal reception. With it, you can replace an on old unit or head without so much effort. This package is also complete, already coming with mounting equipment, so you don’t have to buy it separately. It is also durable for its weather and UV resistant housing. However, the reception can be bad in areas with a poor reception. The 1byone Amplified RV Antenna is a powerful RV TV antenna for its long range of signal acquisition ranging up to 70 miles. The outdoor antenna is probably what you need if you’re looking for great UHF and VHF reception so that you can watch your favorite TV shows for free. This time, you don’t have to pay monthly fees to watch your favorite programs because the amplified antenna can acquire signals and lock them on so that they’re available everywhere you go. Whether or not you use a RV TV antenna booster, you can rely on the amplified recreational vehicle antenna because of its power in receiving signals from directions. I love that it offers a 360-degree of Omni-directional reception, eliminating the need for a remote control. 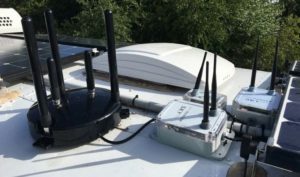 It does what it does effectively that it doesn’t need changing directions when looking for a good signal versus bulky and traditional outdoor antennas. This product is also waterproof and anti-UV for its durable coating, making it a long lasting and heavy-duty choice for outdoor uses. I also love that it has a compact construction that looks nice. One more thing to like about the amplified antenna is its new concept design, coming with a built-in amplifier and a mount base that RV owners will love. Another thing I like is that it comes with the required accessories for the installation. It also lets RV owners receive satellite or cable TV signals free and never pay for any monthly fee. 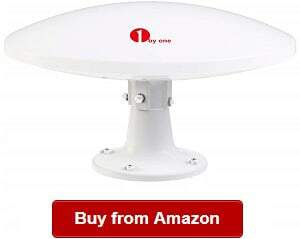 This benefit is one of the best that you will appreciate about the 1byone Amplified RV Antenna. It can receive high definition TV signals, including FOX and CBS. On the not so good note, the outdoor antenna can be confusing to set up. If you’re looking for an amplified RV TV Antenna that requires no cranking and frequent rotations or changing directions to locate signals, choose the Winegard RS-3000 RoadStar. The digital ready and HD antenna can deliver clear reception wherever you are. Thanks to its 360-degree reception, allowing receiving all the frequencies for your recreational vehicle. That said, you don’t’ have to aim the antenna in a specific direction or crank because it’s ready for viewing. It offers a 360-degree signal reception, offering an ease of use and no pointing or cranking required. All you have to do is to park the recreational vehicle and then turn on the TV and antenna. Then, you can start running a channel scan to receive available signal in the area where you are. This product is also designed and created by a top signal equipment and antenna brand in the USA that has been around since 1954. The Omni-directional antenna also comes with a built-in amplifier, coax cable, on and off power supply and mounting bracket. It also offers more channels and options, letting you watch your favorite sports, news programs and sitcoms without having to pay monthly fees. The Winegard RS-3000 also has an aerodynamic design and sturdy housing. It is weather- and waterproof. It is also made with UV protected material to deal with changing weather conditions and harsh elements, including the sun’s rays. 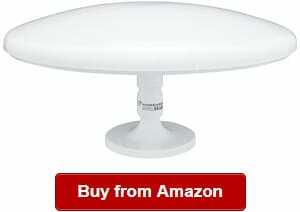 Overall, the 360-Degree Reception digital TV antenna is one of decent choice to look into when shopping around for a new antenna for your recreational vehicle. On the not so good note, the range for signal acquisition is only 35 miles versus the 70 of other models. The ANTOP Digital TV Antenna is another model not to overlook when shopping around for a recreational vehicle antenna because it is easy to use and effective in delivering strong signals. It is also UL certified for guaranteed quality and compliance with top standards. I also love that it comes with complete installation accessories, including a signal splitter and coax cable. With a signal splitter, two televisions can use the antenna is locating and locking on signal reception. The Omnidirectional RV TV antenna is suitable for any roof thickness and harsh weather conditions on the roof of the RV or mobile home. It is made of robust materials, which make it heavy-duty and durable. I also appreciate that the manufacturer has included all the accessories we will need in setting the antenna. Aside from the outdoor antenna, the ANTOP digital RV TV antenna’s package also comes with an AC/DC adapter, outdoor bracket, mast clamp kits, power inserter with a smart switch, user manual, coaxial cable, splitter and two screws. The RV TV antenna is also a money saver because you don’t have to pay monthly fees for watching free HD channels and 4K TV signals in your area. It also offers an improved Omni-directional UHF/VHF range that is ideal for recreational vehicle and outdoor use. This model is also durable for its weather-resistant and waterproof coating. It can deal with the harsh weather elements, including UV rays from the sun. It also has a compact design, which can make installation a breeze. You can also install it on the balcony, roof and wall. 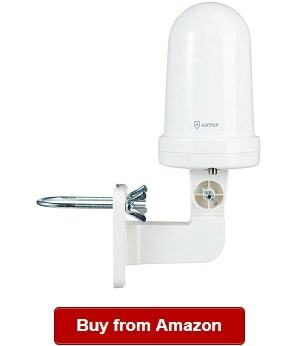 Nevertheless, this unit is one of those not to miss when reading RV antenna reviews and figuring out which to choose. On a negative note, it might not have good reception in areas where signal is poor. If you’re looking for the best RV antenna replacement because you want better signal reception, you should not miss the RZ-8500. It is a fully automatic antenna that eliminates the manual pointing and aiming of the antenna. It also does not require frequent changing of the directions to find signals. I also love that this amplified antenna comes with complete accessories, including a coax cable, mounting hardware, 12 VDC wall plate interface/power supply and an interior ceiling cover. Using the Fully Automatic RV Antenna, you don’t have to crank or point the antenna to different directions because it can find channel signals automatically with its long range of signal acquisition. This unit also makes use of a high tech amplifier that can also effectively increase the range and find the channels without compromising the quality of the reception. It can reduce the chance for dropouts and pixilation. It also comes in an attractive dome design, keeping it protected from harsh elements and bad weather conditions. This product is also backed by a 2-year limited warranty. With it, you and your loved ones can watch your favorite TV shows, news reports and live sports while onboard the RV and enjoying the outdoors. And as it can eliminate the need for pointing the antenna, you can now focus on watching TV than minding about finding direction for a good signal. Another thing I like about the Rayzar antenna is its ability of scanning 16 quadrants within two minutes. This antenna can also point towards the greatest number of channels direction. On a not so good note, the warranty of this product can be improved. 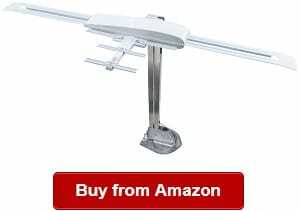 The roof mountable TV antenna is one of the best in the category when it comes to excellent signal reception that makes it unbeatable and one of the best. The portable satellite TV antenna that you can use with Dish is one of the most convenient options if you’re looking for clear signals. You can just sign up for the service and choose the pay-as-you-go service. Alternatively, you can add it to your Dish service back home. 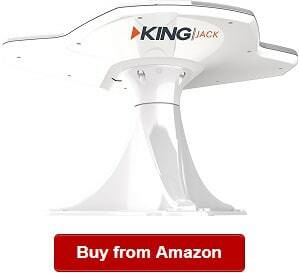 With a few things to know about King Jack antenna troubleshooting, you can use mount it on the roof of your RV or use it as a portable antenna. This product weighs only eight pounds and is portable. You can use it for Dish by just plugging it into the HD receiver using the coax cable and connecting the receiver to the TV. This antenna works automatically by locating the satellites of the service, and then delivering the live high definition TV within minutes. 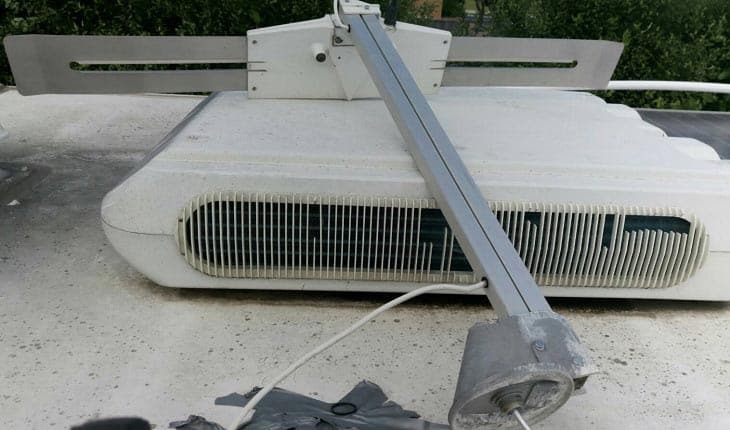 You can also easily mount it on the roof without having to buy any brackets. This unit works no matter your destination, making it the best portable antenna for the DISH service. You also don’t have to worry about the power source because it is powered through the receiver itself, no separate power source or remote needed. This product is ideal for outdoor enthusiasts and RVers. However, it has limited compatibility and works only for SOLO Receiver, such as 411 and 211. You also have to have a DISH satellite service to use this antenna. 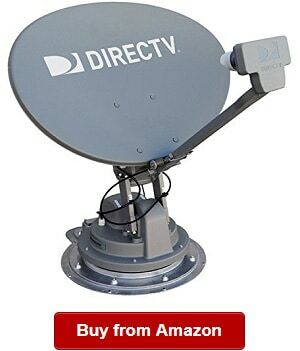 This model is a DIRECTV TRAV’LER RV Satellite System that can find and lock on satellite TV channels in your location. It lets you do multi-satellite viewing with just one antenna. 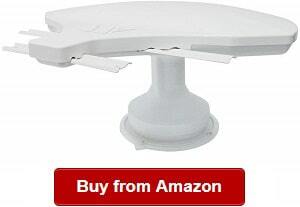 If you have a Direct TV access, you can make use of this Winegard antenna that can deliver strong signal strength. I recommend this product to those using DirectTV because it can receive high definition and standard programming effectively. You can also have peace of mind that it works well with many receivers of the service, including the Genie receiver. However, I suggest you check on the entire full receiver list for what work compatibly with it. This Winegard SK-SWM3 TRAVLER is also the only antenna that works with the service’s programming. It is also made of high quality and robust materials to ensure long-lasting use. This model is also built to last for its sturdy finish to deal with the changing weathers and temperatures. It also has the special feature of receiving different programming from a satellite. You can also easily mount it on the roof of your recreational vehicle with the help of a professional. This unit is durable and heavy duty and weighs 53 lbs. It also has multi-satellite viewing feature that lets you view the DIRECTTV satellites simultaneously, maximizing the programming channels your RV TV will receive. You don’t have to miss your favorite channels again wherever you go. With this traveler TV antenna, you can easily watch all programs on any TV model on your recreational vehicle. You can also use it with your DVR if you have one. Another thing I love about the Winegard SK-SWM3 is it is simple and easy to use. It also comes with an easy on and off antenna button. On a negative note, you should get a professional to install it. 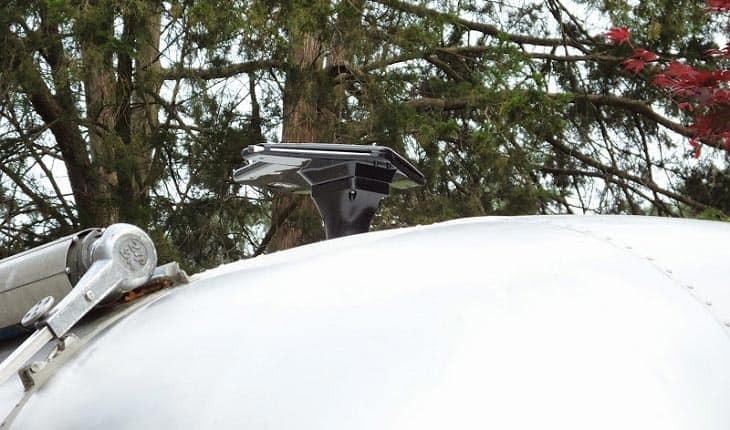 If you’re looking for the best RV TV antennas for digital TV that can help in optimizing and maximizing the reception that you will receive, you should not miss the Winegard RV antenna in your choices. This unit can increase the digital reception your TV will receive. As it is also from one of the top brands in recreational vehicle signal receivers and antennas, you can have peace of mind of its quality and durability. The manufacturer has been around since 1954 with the commitment to excellence in providing its consumers with the best antennas for camper or RV TVs. This product is also easy to install because you can just connect it to your batwing antenna head. It installs within minutes with no special tools required. This product can increase your UHF reception for up to 100%, allowing you to optimize your batwing antenna and receive many digital channels available in all markets. The Winegard RV-WING antenna can increase the range and improve VHF capabilities of your Sensar, letting you watch your favorite TV shows even in areas with poor reception. 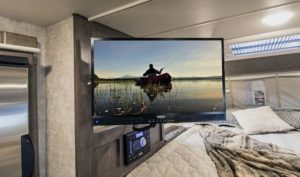 This unit can let you watch your favorite TV shows, sports and news updates conveniently anytime and anywhere while traveling with your camper or recreational vehicle. It also offers many options and channels versus others in the past could. Now, you don’t also have to pay for monthly subscription because this antenna can receive many channels in areas where they are available. Overall, this antenna is a decent choice that you should not overlook when shopping around for a good RV TV antenna. On the negative side, this product is a bit expensive than other choices on the market are. When shopping around for the best RV over the air antenna, you should not miss the RVW-205 Sensar IV. 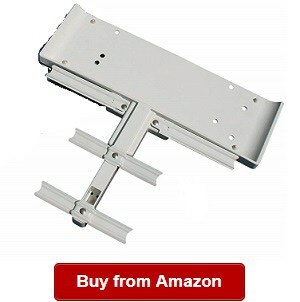 This product is a replacement head that you can easily install to change an existing one. This RVW-205 Sensar IV can help in optimizing your Sensar for Digital TV because it can receive maximum number of UHF and VHF channels along with HD and digital channels. I also recommend it because it is ultimate antenna that can optimize for the available digital channels, letting you achieve a more satisfying viewing experience. The Winegard RVW-205 offers an extended signal acquisition range of up to 55 miles. It is one of the longest, if not the longest, when it comes to letting you watch even from 55 miles away. I also recommend it because it comes with a built-in amplifier that can boost and increase the reception quality of weak TV signals for that clear reception. It is also guaranteed to last long – thanks to its maker with proven reputation regarding quality for its more than 20 years of service and experience in the industry. This model is also powder-coated, ensuring its weather resistance to deal with all kinds of seasons and changing temperatures. The Winegard RVW-205 is a great choice for RV owners that want long lasting and durable antennas for their recreational vehicles. It is a complete replacement head that comes with a printed documentation. It is also backed up by two years warranty on parts and one year on labor. Overall, this replacement head is a decent choice if you’re looking for the best reception and TV signals to watch your favorite TV shows and programs while on the go. On the negative side, its range is shorter than other models on the market have. Trust us when looking for the best TV antennas for motorhomes and recreational vehicles because we have a seasoned team of real RVers that want to share our experience and knowledge in RVing. Our team also carefully selected the best antennas and replacements based on the factors we have discussed below. A few of them include durability, mounting option and price. We also have taken the time to look into each product we have reviewed to find out and determine what makes them great RV TV antennas. 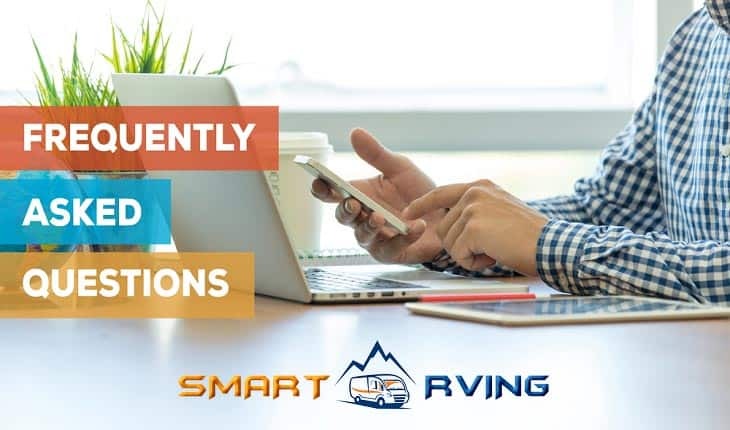 Smart RVing is your one-stop source of RV product info and guides. We envision becoming your reliable team that can help you make the right choice on the products that will work well for your RV, whether you’re looking for the best RV hose or RV caulk. 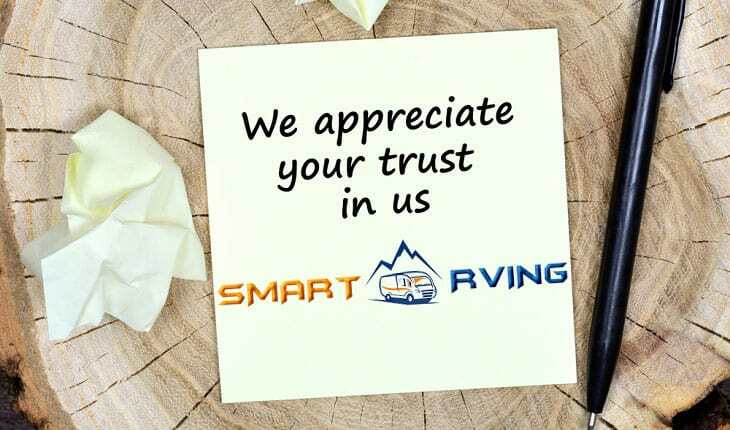 So for all things you need to know about recreational vehicle products and accessories for maintenance, cleaning, electronics and other sewer systems, to name some, choose your team at Smart RVing, We’re here to help and share our knowledge to the RV world. The RV antenna like the King Jack antenna OA8500 is a specially designed and made antenna for the recreational vehicle, camper and travel trailer. The best ones are made with powder coating that makes it durable to withstand the UV rays and harsh outdoor elements. It is meant for use outdoor so it can deal with the changing weathers and temperatures. You can rely on it for automatic finding of the channels available in your local area. It works by finding the local channels, UHF/VHF signals as well as satellite channels depending on the model you’ve chosen. Many of them are also digital- and HD-ready antennas that can deliver superb signal reception anywhere your RV is parked. It does not also need cranking or rotation to locate signals because the best of them like the Winegard RV TV antenna can automatically pinpoint the strongest signals for excellent reception. 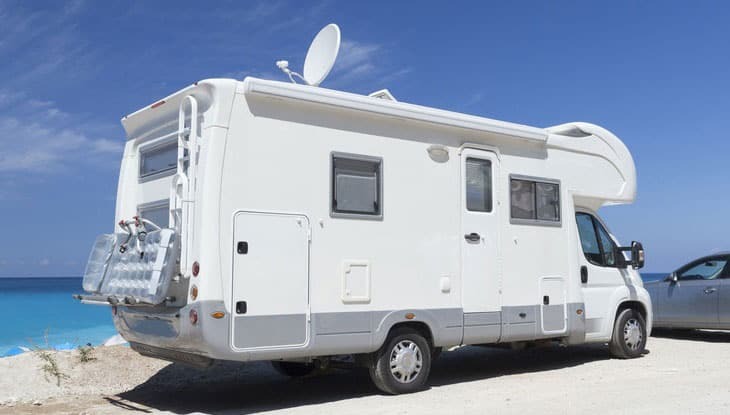 When shopping around for a recreational vehicle TV antenna, you should also know what to buy to ensure that it will work compatibly with the service or TV with which you intend using it. These types of recreational vehicle antennas work with the receiver of a specific satellite service that you’re using. A few examples include Direct TV and Dish network. If you’re already subscribed with any of these, you can receive a satellite TV service signal in your recreational vehicle by using a satellite TV antenna. You can rely on it for excellent reception to watch your favorite TV shows and programs anytime and anywhere. There are some satellite services that also let you pay as you go and other charged a monthly fee. Nevertheless, you can use a compatible satellite TV antenna for them. For example, the Winegard SK-SWM3 can be used with a Direct TV service. This type is one of the most common types for recreational vehicle antennas to choose and use for your vehicle. 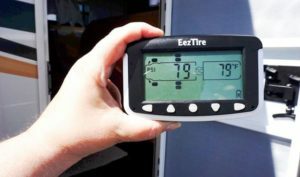 We have listed a few models, which are the top picks in the category that you can install in your RV. The best ones can pick numerous UHF and VHF signals. They can also pick up HD channels, such as FOX and CBS, depending on your location. Even when your vehicle is parked, you can find many channels available. All you need to do is to turn on the TV and perform a channel scan, and the antenna will search for and lock on the signals it can find. What type of RV antenna do you need? What is compatible with your camper or motorhome? You should decide among the many types, such as an outdoor antenna type that is installed on the roof of the RV. It is ideal if you want a more effective model to pick up local TV stations. But if you’d choose the outdoor antenna, you should check that it wouldn’t give you a hard time to lower it when needed. Remember, it would become a hassle when a too high antenna was caught into something, like a branch of tree. There is also the indoor antenna to choose, but remember it might have a lower range than an outdoor type. But while this is the case, it is also good if you’re looking for one to install in one position only. With it, you don’t have to deal with adjusting/taking it out for a better TV reception. An indoor type does not also need angle adjustment to a specific direction. Nevertheless, you should buy a TV antenna that works compatibly with your TV and with the kind of channels that you want to receive. What are the benefits of having a TV antenna for the camper, travel trailer or mobile home? There are many reasons to buy and use this kind of antenna for the vehicle. As while camping is a rewarding and enjoyable activity, it can be made more fun if you have a TV onboard. Also, many of us would want to stay connected to the world by watching our favorite local shows, including sports, news, weather, drama and sitcoms. So by having an antenna for our TV, we don’t have to miss these shows. Having an antenna, we can receive a better reception for our TV. That said, we can keep ourselves and our family entertained while on our RV. We can have a more enjoyable experience while traveling with our recreational vehicle. These innovative products let us take our favorite TV shows we watch at home in our recreational vehicle, especially if we’re subscribed to Dish or Direct TV. There are specific antenna models that can work compatibly with a satellite service. So whatever are your favorite programs back home, you can watch them as well on your camper. This time around, you don’t have to miss a great episode of your favorite series. There are some TV antennas with Wi-Fi capability, allowing for an internet connection while we’re camping. With that said, we can have plenty of media options, including streaming videos and reading e-books while we’re on the camping ground. Another benefit of having the best RV TV antenna is that it can provide us with superb HD viewing experience. While it is almost always needed to subscribe when you want to watch local TV shows, you can use this antenna in watching these shows without paying any monthly bills. That said you just buy an antenna and locate the signals, and then take advantage of watching your favorite local shows without paying anything. We’ve considered certain factors before picking and reviewing the best antennas, such as the King Jack OA8300 for our recreational vehicle. In the following, we’ll highlight some things that can make a decent choice for an RV antenna. So before deciding on which one is for you, you should consider the following. Find durable antenna models by checking on the materials used in its manufacture. Avoid those made with weak materials. Choose those that are sturdy enough to deal with outdoor conditions. When shopping around for an RV TV antenna, you should also finds one that can give you ease of installation. That is why you have to find out if its installation won’t add up to the stress on your part. You should also set it up where there are no obstructions and in the direction of the broadcasting tower or transmitters. Take some time in comparing prices of different models, including the King RV TV antenna with other models available from the same brand or other brands. But then, the price shouldn’t be compromising the quality. You should also ensure that the antenna you’re buying could offer a good signal reception to ensure that you will get quality viewing experience all the time. For this reason, you might also want to choose one that has a long mile range for signal acquisition. You should also decide on the right spot where to set up the antenna. For this reason, you must also decide between an outdoor or indoor antenna. And before buying one, you should check that the product garners good reviews when it comes to signal reception. Also, you must look for an antenna that has a higher gain, which is something useful for RV owners. However, you must know that as you’re moving from time to time, it might also affect your distance from the transmitter, something to affect reception. For the best results, we would like to suggest using an antenna booster, if you would like to receive better signals regardless of how near or far you are from the transmission station. 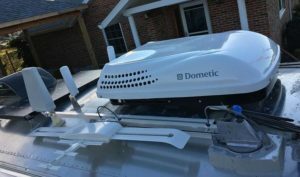 This characteristic is one thing good about recreational vehicle antennas, which can be mounted on different locations, including bumper, mirror bars and the roof. But aside from being easy to mount, it must also be easy to adjust. Q: How to use RV TV antenna? A: It is easy to install and use a recreational vehicle TV antenna. However, its installation process varies from one maker to another. It also differs from the type of the antenna you have. Nevertheless, you should check the user manual included for the specific instructions regarding its use. Q: How to replace RV TV antenna? A: You can replace the RV TV antenna by removing the old one and setting up the new one based on the steps provided by the maker in the user manual. Follow those steps closely to replace the antenna and set up the new one. Q: How to repair RV TV antenna? A: To repair the RV TV antenna isn’t easy. In many cases, you need to hire a professional or get help from the customer service for troubleshooting instructions. But in case, it won’t be fixed, you can easily buy a replacement head in some cases. Q: How to point RV TV antenna? A: Upon setting up, you should point the antenna in a direction where there is the nearest and largest metropolitan area, if you know where that is. Next, go to the TV or conversion box, and then perform a channel scan to find out channels you can pick up. On the other hand, some models can already do an automatic channel search when you perform a scan. You may refer to our list above for some models that can provide this great feature. Q: How to get better reception on camper antenna? A: It is important to know the right antenna to buy for a better reception. 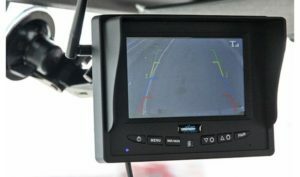 You can also consider buying a digital TV or satellite TV strength meter, which can locate the strongest and clearest signal no matter where you are parked. In addition, you must think of buying an amplified antenna package, such as those we have featured in these reviews because they have the capability of boosting weak signals. Finally, avoid parking your vehicle in areas where there are many obstructions, such as trees, hills and mountains. Q: What additional hardware is required? A: If you want better reception, you can consider investing in a signal booster, such as the Winegard RFL 342. It can improve the performance of your antenna and the signal in your RV. Turning it on, you can get reception all the time. Have you decided on the best TV antenna for RV? Choose from our list of the best products above with the features that make each of them a good choice. We also do hope you have learned something from the things to look for when shopping around for an RV and the FAQs we’ve answered. Buy the best antenna for your camper or trailer today! 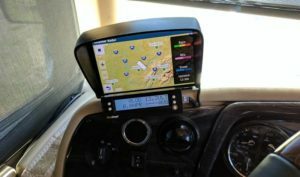 Are you looking for best TVs for RV, best RV backup cameras, best WiFi boosters for RV, best cell phone boosters for RV, best RV GPS and best RV tire pressure monitoring systems in RV Electronics. We do hope you find them useful! it seems very odd that this and many of the top 10 types of reviews ALWAYS points to Amazon so no matter what you buy Amazon wins…. Did you find the review helpful?